Loving couple, Alice and Joe, built this little cottage using their unique artistic abilities. 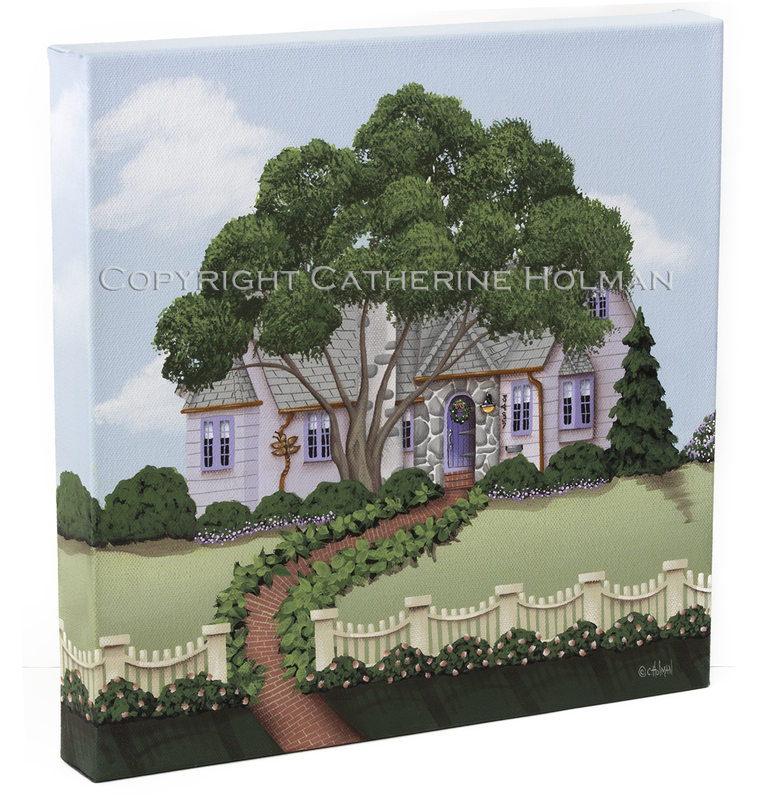 Alice, an artist and gardener, loves bold color and painted the front door and the trim purple, much to the astonishment of her neighbors. Joe, works with metal and designed the brass dragonfly downspout for the house. Now, the neighbors are their biggest supporters of their artwork! I'm a little behind on my posts this week because I've been busy painting, but I did want to thank Diane at Lavender Dreams for the package that she sent me in the mail. 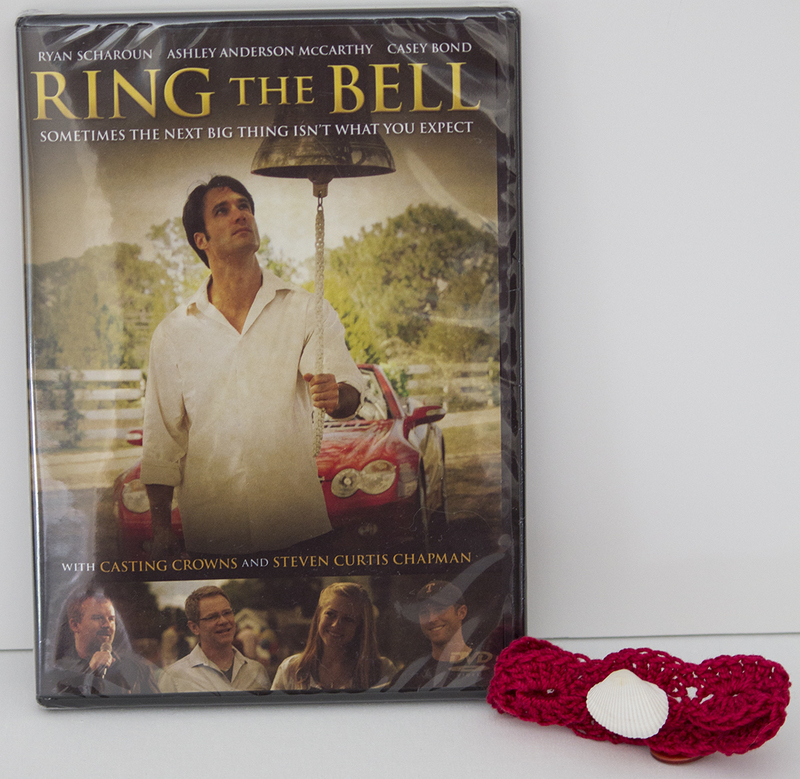 I won the movie, "Ring the Bell", that was a giveaway on her blog. I was so surprised to see that she had made me a crocheted bracelet with a little white seashell that she got from the Canaveral National Seashore. She also knew that my favorite color was red which makes it even more special! Check out Diane's beautiful creations at "Diane's Dream Designs". 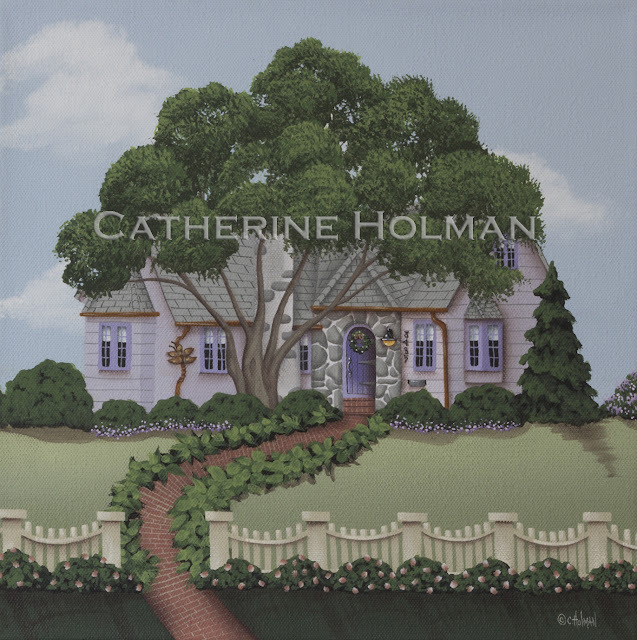 Love your new painting Cathy! 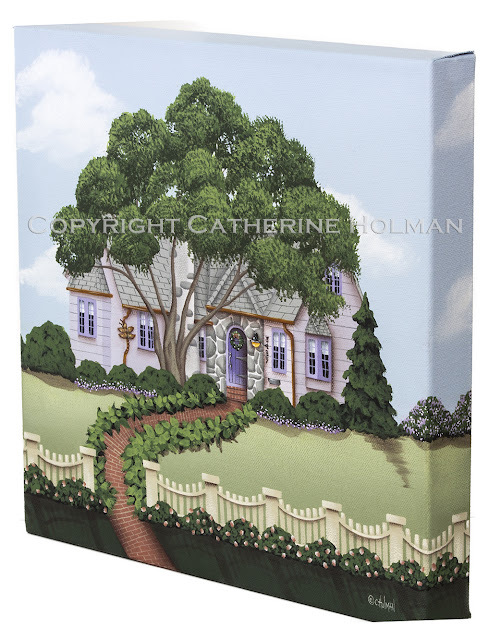 I wish I had purple doors and dragonfly downspouts! Your painting is so pretty for summer...love that big shade tree in the front! And I'm glad you like the little bracelet I made for you. I had fun making it! You'll love the movie! Enjoy your day sweet friend! HUGS! Wonderful...I want one of those downspouts and maybe even lavender doors...very pretty. Congrats on a fun win from Diane. I am so excited! The Chimney Smoke and Cheery Snow Folks have arrived safe and sound!! Sooooo cute! Thank you so very, very much.